In the early 1980's I was fortunate to study with the great Charlie Banacos, teacher of Jerry Bergonzi, Jeff Berlin, Mike Stern, Claire Daly and a number of other influential players in Jazz. Part of Charlie's method involved transcription of solos from iconic players such as Wes Montgomery, John Coltrane and Chick Corea. 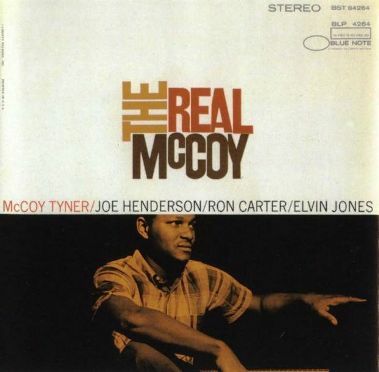 Three or four of those transcription assignments were for McCoy Tyner, my all-time favorite piano player. The transcription presented here is for Tyner's original composition Passion Dance from the album The Real McCoy. Tyner's playing at this time utilized a combination of Hexatonics (which is the technique used to create the melody), Chord-on-Chord and just-plain-old-ridiculous virtuosity. It is an incredible statement, meticulously organized and thematically developed, and very worthy of study. The first round of links is to the original, hand-written copy of the transcription from 1982, which includes my analysis at the time. I'm not sure I would still analyze the details the same way, but it is ball-park. The second round is to the updated score from 2017 which includes tablature. I chose to include TAB to indicate the details of the phrasing, as doing so in standard notation would have included too many details. Only fingerings are included in the notation. The last set of links is to .mp3 files of the score, one at mm=104, one at mm=120, and one at relative real speed of mm=192. I include these for play-along practice purposes. The original transcription was done from an ancient music-data storage medium refered to as a '33RPM 12" LP' where LP stands for Long Play. These twelve-inch diameter flat vinyl discs were refered to as 'records'. A vibrating needle was slotted into the grooves cut into the vinyl, reproducing the original sound through the irregular terrain of the grooves. It was a cumbersome process, usually resulting in a degradion of the surface of the vinyl, showing in a lightening of its normal black color. I have seen other transcriptions of the solo in the recent past, and there are places in disagreement with my original work. Suffice it to say I was and still am a student of the craft, and the transcription is both reasonably correct, and adjusted in various ways to be playable on a guitar. Included in that process is the removal of a large portion of the left-hand work that McCoy does on the solo. My purpose was to work from the melody down, adding as much of the chording as possible. In subsequent listenings and comparisons, I made one adjustment in my own work with the solo. In measure 40 I have put both notes down an octave, playing the C# on fret 18 of the G String, but switching to my 4th Finger, and playing the C on fret 17 with the 3rd Finger. This fits more appropriately with the original performance, and is reflected in the play-along sequence at MM=192. As a result of my early exposure to piano players as a guitarist, I have pursued a new right hand technique over the years in an attempt to create a similar effect on guitar. I keep the pick between the thumb and index finger, and pick the higher-pitched strings, bringing my middle, ring and pinky fingers to the lower-pitched strings. This allows me to strike chords and lines simultaneously without the staggering of the pick drawing across a chord, making the attack more pianistic. It also puts the pick on the melodic portion of the sound, helping it to stand out and using the more adaptable picking techniques to move fluidly and quickly when necessary. I have been working on this technique for about 30 years or so, and have finally integrated it enough to be able to get this solo moving, though I'm not yet anywhere near the MM=192 mark! I use it in my playing with my original jazz band Cat's A Bear as well as in free-lance jazz situations where I have a bass player. If you are interested in finding out more about this technique, or wish to study music with someone who has graduated from Berklee College of Music, completed private guitar studies with Charlie Banacos, played with artists like Richie Cole, Claire Daly, Arturo Sandoval, Larry Coryell, Bruce Johnstone, Ernie Krivda and many other jazz greats, and has taught privately for well over 40 years, contact me at frank@franksinger.com or check out online study at Online Lessons With Frank.com . You can find out more about me at www.franksinger.com or Facebook/ Frank Singer Music . My YouTube Channels can be accessed here: Frank Singer on YouTube . The audio track is easily found on YouTube. There are also a number of piano transcriptions of the solo, showing the furious activity of the left hand as Tyner executes this amazing performance.